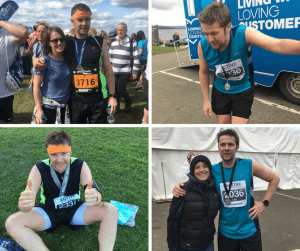 Lee’s Running Challenges for LD:NorthEast! Home/News/News/Lee’s Running Challenges for LD:NorthEast! He’s already taken on the challenge of the Northumberland Coastal Marathon, but this weekend Lee Harris will be heading off down south to take part in the London Marathon on Sunday. Lee is also planning to run the Great North Run in September and the Kielder Marathon in October, and he’s doing it all in aid of LD:NorthEast! Lee told us “Running for me has always been a form of exercise and also meditation. I suffered with depression around 3-4 year ago, and it helped me fight my way through and loose a few pounds in weight at the same time. There’s been many times when it has been the only way to keep me focused and help myself through the difficult times”.